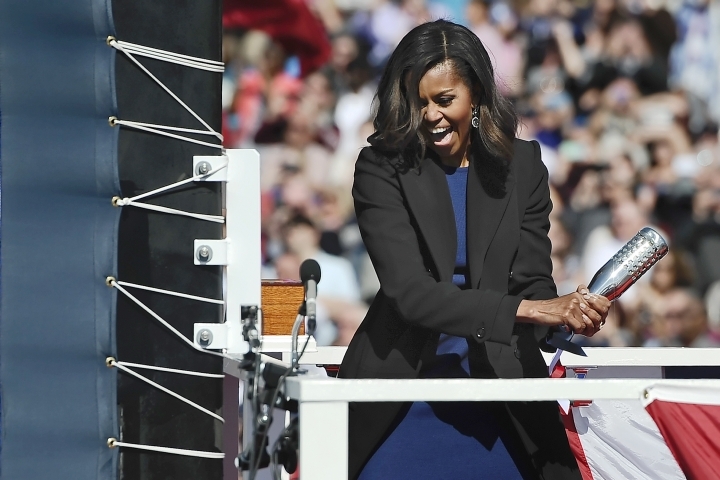 An attack submarine that is sponsored by first lady Michelle Obama and will be named for her home state has been delivered to the U.S. Navy. 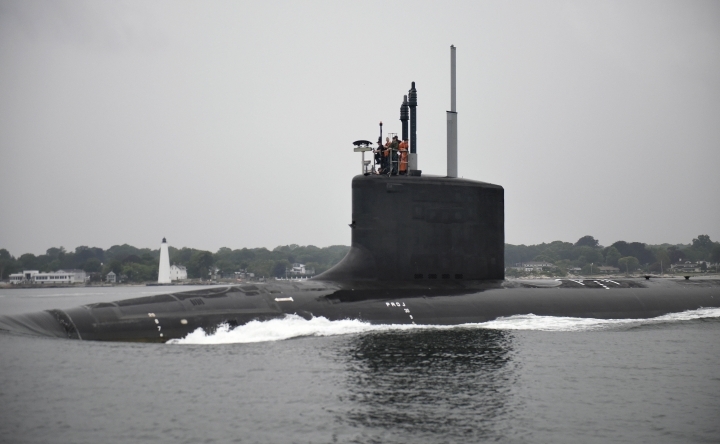 Submarine builder General Dynamics Electric Boat, based in Groton, Connecticut, delivered the submarine that will become the USS Illinois to the Navy on Saturday after nearly five and a half years of construction. The first lady, who's from Chicago, will be involved in the life of the submarine and the lives of its sailors and their families. The submarine will become the USS Illinois, SSN 786, and begin its active service at a commissioning ceremony in Groton on Oct. 29. 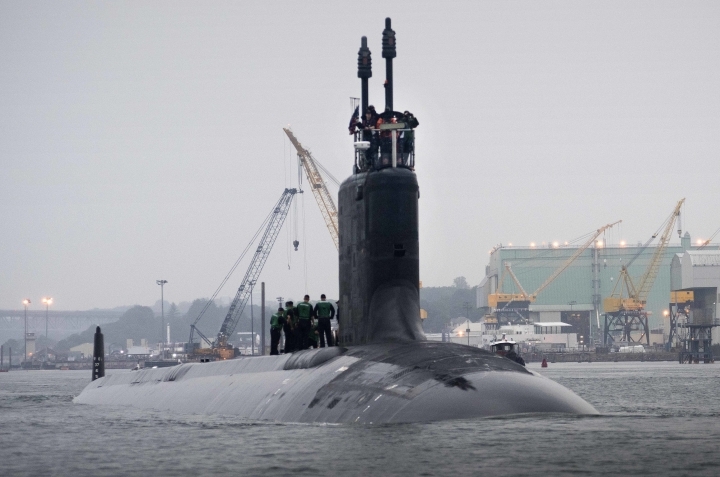 It took thousands of shipyard employees in Connecticut, Rhode Island and Virginia and submarine supply businesses nationwide to build the $2.7 billion submarine, the 13th member of the Virginia class. There were no major issues during construction, and the submarine performed "superbly" during recent tests at sea, said an Electric Boat vice president, Kenneth Blomstedt. Capt. Michael Stevens, the Navy's Virginia-class program manager, said these attack submarines are needed to replace those that were built during the Cold War and are retiring. "Every submarine counts," he said. "Every submarine is needed out there." Electric Boat, which has been designing and building submarines since 1900, had until Aug. 31 to transfer ownership of the future USS Illinois to the Navy, per the contract. It's the ninth submarine in a row to be delivered to the Navy early and on budget, Stevens said. The submarine has a redesigned bow with two large tubes to launch Tomahawk missiles, instead of 12 smaller tubes. The larger tubes were designed so the Navy would have the flexibility to also launch future weapons and unmanned vehicles, Blomstedt said. Cmdr. Jess Porter, the submarine's commanding officer, described the Illinois as a "stealthy weapon" that can influence adversaries in a way that makes the U.S. more secure. The crew of about 130 men will take the submarine to sea for additional testing to prove its capabilities, Porter said. Construction began in March 2011. Modules were built in Rhode Island, at Electric Boat's manufacturing facility, and in Virginia, at Newport News Shipbuilding. The two shipyards build Virginia-class attack submarines under a teaming agreement and alternate the deliveries. The final assembly and testing took place at Electric Boat's headquarters in Groton. Obama, who has made it a priority to support military families, broke a bottle of champagne across the submarine's hull to christen it last year. She has been invited to give the order to "bring the ship to life" at the commissioning ceremony in October. Inside the submarine, there's a metal plate inscribed with the first lady's initials, which each sailor will see several times a day. It's mounted where the crew eats. The Navy has ordered 15 more Virginia-class submarines, and 10 of those are under construction. The last of the 15 is scheduled to be delivered in 2023 as the 28th member of the class.